Florida Governor Rick Scott owned $53,000 in Spectra Energy stock in 2013, the same year he signed into law two bills designed to speed up permitting for the Sabal Trail Transmission, a 515-mile interstate natural gas pipeline spearheaded by Spectra Energy Corp. that will travel through the upper half of Florida before connecting with another pipeline around the Orlando area. While the stock was part of a blind trust, Florida’s ethics laws historically prohibit public officials from owning stock in businesses subject to their regulation, reported Newsweek. 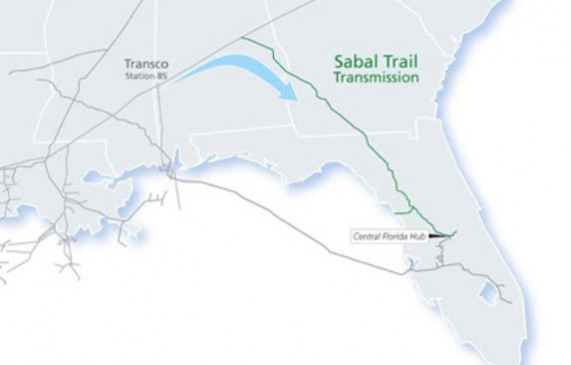 The Sabal Trail Transmission is a joint venture of Spectra Energy, NextEra Energy, Inc. and Duke Energy. The pipeline, that will begin in Alabama and travel through Georgia, will “provide transportation services for power generation needs to Florida Power and Light (FPL) and Duke Energy of Florida (DEF),” according to the Sabal Trail Transmission website. It is projected to be finished by June 2017. Of the 515 miles of pipeline, 268 miles will be located in Florida. The pipeline will affect 12 counties in Florida, including Alachua, Hamilton, Suwannee, Gilchrist, Levy, Marion, Sumter, Lake, Polk, Osceola, Orange and Citrus Counties. Although Alabama and Georgia will not benefit from the gas the pipeline will carry, Spectra Energy says the states will profit from increased jobs and the economic impact. In a study conducted by Orlando-based Fishkind & Associates, Inc. (Fishkind), it was concluded that the project will generate an estimated $755 million during construction for all three states and employ 5,667 people. The permanent economic impacts will result in 527 jobs, $22 million in annual wages and $74 million in total economic output. In Florida 2,709 jobs will be created during construction, of which 288 will be permanent. The permanent economic impact is estimated to be $13 million in annual wages and $43 million in total economic output. Despite the economic boost the pipeline will bring to the region many environmental activists argue against the pipeline, for a variety of reasons. Construction of the pipeline could potentially cause sinkholes or contaminate the Florida aquifer and the pipeline itself could explode and leak methane into the atmosphere. Opponents also argue that the pipeline will lock Florida into a natural gas economy. “They’re saying it’s going to bring jobs and all these things but I think what they’re really trying to do is to secure natural gas in the state,” Michelle Suarez, an activist with Organize Now and Florida Institute for Reform and Empowerment (FIRE), said. She believes this will impact Florida’s path to renewable forms of energy as well. According to the Orlando Sentinel, about 25 properties in Central Florida and 135 in the Southeast were targeted by the eminent-domain federal lawsuits filed in March by Spectra Energy, who claims that it has the federal authority to seize properties under the Natural Gas Act. Sabal has already purchased easements from 1,248 owners and is asking 346 more owners to turn over their property. On their website Spectra Energy promises there is no evidence that demonstrates that natural gas pipelines affect home loans, property values or insurance costs. However, many homeowners are not convinced. “We had a buyer for the property, and they walked away, because of the pipeline, ” Gerald McGratty, a court-appointed receiver who oversees the development Greenpointe Communities, told the Orlando Sentinel. He reported that the Sabal Trail offered him $600,000 for the property, but he believes it has caused him millions of dollars in losses. So far, only $448,000 has been paid by Sabal into an escrow account. Environmental justice activists are also critical of the pipeline’s proximity to many low-income and minority neighborhoods. Oftentimes location of heavy industry occurs near already disadvantaged communities. For example, in Albany County, Georgia a proposed industrial compressor station facility, part of the Sabal Trail pipeline network, would have sat right in the middle of an African-American residential neighborhood. “Sabal Trail’s proposed pipeline and compressor station will further burden an already overburdened and disadvantaged African-American community in this area,” four Georgia Democratic congressmen wrote in a letter to the Federal Energy Regulatory Commission (FERC) last October. In March, the Georgia House of Representatives voted 128-34 against a bill that would have given the pipeline project power to seize property, according to Newsweek. Activists are also concerned about the Floridan aquifer system, which underlies the entire state of Florida, as well as parts of Alabama, Georgia, Mississippi and South Carolina. It provides drinking water for 10 million people. The aquifer accounts for 60 percent of the Florida’s drinking water and 90 percent of Northern Central Florida’s drinking water. However, natural gas’s primary component, methane, is 34 times stronger than carbon dioxide at trapping heat over a 100-year period and 86 times stronger over 20 years and therefore contributes to global warming even more than carbon dioxide. Additionally, if the Sabal pipeline did rupture in an area where there is a sinkhole, which is not unheard of in Florida, it could cause an explosion and contaminate the aquifer. In the past five years, the incident rate for Spectra Energy’s natural gas pipelines and facilities has been roughly half the rate of the industry average, according to their website. The company says their goal is to have zero incidents. “No matter how safe they claim to make these pipelines there’s always the danger of explosions, there’s always the danger of fugitive methane and there’s always going to be air pollution problems around compressor stations and natural gas infrastructure. And it’s just more natural gas which means more global warming,” Doug Miller, statewide coordinator for Floridians against Fracking and campaign director for Rethink Energy Florida, said. Many opponents of Sabal Trail believe the company cannot guarantee that the pipeline will never rupture or explode. 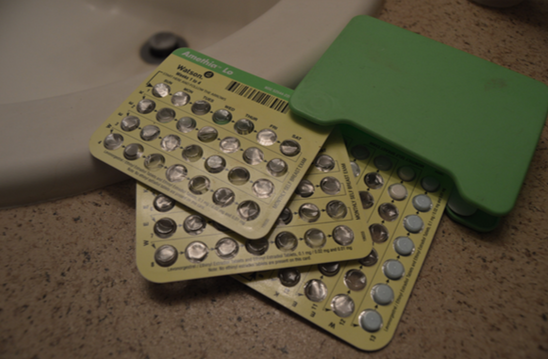 For many activists, this is a risk they are not willing to take. However, Suarez believes people are still eager to learn about the pipeline and fight. She says it is important for people who oppose the pipeline to come together and organize. “I’m hopeful that where there’s a will there’s a way. And where there’s a will there’s creativity and willingness to sacrifice and to fight. And with that I think we can win everything,” Miller said. Activists have called on FERC and the United States Army Corps of Engineers (USACE), the organizations that approved the pipeline, to allow an additional Environmental Impact Statement (EIS) to be submitted written by an independent source. The EIS that all permitting for the pipeline has been based on was written by Spectra Energy. Suarez hopes pipeline construction will be delayed until this can be done. Sierra Club, Flint Riverkeeper and Chattahoochee Riverkeeper are suing FERC, “partly for not considering climate impacts in the approved EIS,” according to Merrillee Malwitz-Jipson, an Organizing Representative of Sierra Club. Information for this article was gathered from sabaltrailtransmission.com, ucsusa.org, newsweek.com and orlandosentinel.com.